The coated duplex board is a key material for the production of inner box. Coated and calendered on one side, it provides a white and smooth surface really suitable for offset printing. Thanks to its white and smooth surface ideally suit to be printed, this durable duplex board is highly recommended for the production of folding cartons, indirect-contact food boxes, toy boxes, soap and toothpaste packaging, as well as posters. 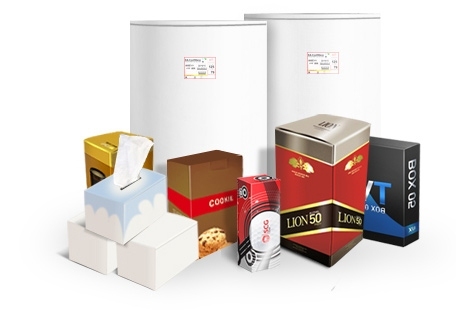 With its smooth, white and clean appearance on both sides, this coated duplex board is perfect for packaging of products that need clean look, premium, and good printability , such as indirect-contact food boxes, cosmetics packages, and medicine cartons. Laminated with Metalized PET, this duplex board has exceptionally glossy and smooth surface. It works particularly well with UV printing system. When turned into packaging, it offers a modern and eye-catching image to a brand involved, also helps increase the value of products. Such duplex board features white and smooth surface, thus making it printable. Its brown back coated with the anti-fungal INTACE or TK chemical is highly recommended for soap packaging.